Dudes and dudettes - once again, it's time to annoy the neighbours! Following on from the arcane silliness of our "Dem's da Breaks" sesh back in 2016, here's another bumpy ride into the deeply dysfunctional domain of funky breaks and blunted head-nodding:- a tightly packed selection of trick tunes and suchlike, with guest appearances from otis redding, james brown, the beatles, candi staton, sly stone, lionel richie, kate bush and gwen mcrae - sounds like a cracking dinner party guest list, if nowt else. 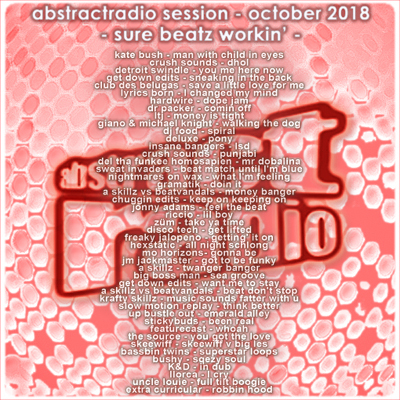 AbstractRadio - not without a little bit of drama here and there. -> Please share and repost if you likee!